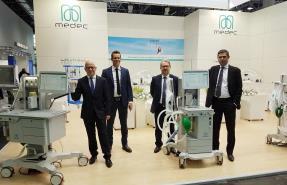 Forty years ago Medec started manufacturing accessories for anaesthesia and critical care. It didn’t take long before the first anaesthesia workstation was introduced. Today Medec offers a wide variety of products, ranging from basic ventilators to the most sophisticated workstations. 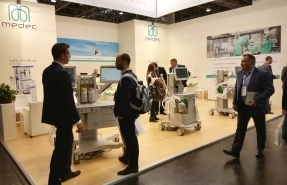 On a daily basis over 20,000 patients in over 100 countries are ventilated by a Medec system. Medec has a vast international network of authorised dealers specialised in anaesthesia and critical care. Our dealers receive comprehensive product training to support customers in an optimal way. Medec products are developed and manufactured at our factory in Aalst, Belgium. In-house research and development is the driving force behind constant innovation. All manufactured equipment is subject to a strict Quality Management System. Medec is ISO certified and its product range is CE marked.